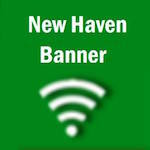 New Haven's Scholar Bowl team, Coached by Jared Pruessner, began their season earlier this month, making a statement to much larger schools, "Do not under estimate our size". The JV team had their first match at the Pacific Tournament on Dec., 17, finishing second out of 14 teams. In pool play they went undefeated, knocking off Cuba, Pacific, Salem, and Borgia to advance to the championship match who they went up against St. Louis University High, coming up short by the score of 140-80, finishing in second place and Graden Lovelace was named to the All-Tournament Team. The Varsity's first match of the year was held in Rolla, Mo in the Missouri S & T Tournament on Dec., 10. The Rocks got off to a good start by stomping Dixon 210-5, winning their next three matches against, Iberia, Tuscumbia, and Rolla. However they ended up falling to Kickapoo by 15 points and Clayton to finish second in their pool preventing them from advancing into bracket play. Clayton who easily beat the rocks, finished sixth out of 21 teams.